The ESP E-II M-2 Electric Guitar is made in ESP's Japan factory. It offers the level of quality youÊ¼ve come to expect from standard ESP guitars and basses, with high-quality workmanship and professional components. The elegant M-2 is made of a mahogany body with a gorgeous flamed maple top and a thru-body maple neck for maximum sustain. The super-smooth ebony fretboard has 24 extra-jumbo frets and a fast-playing thin U contour. Active EMG 81 humbuckers offer excellent performance and extensive tone-shaping. 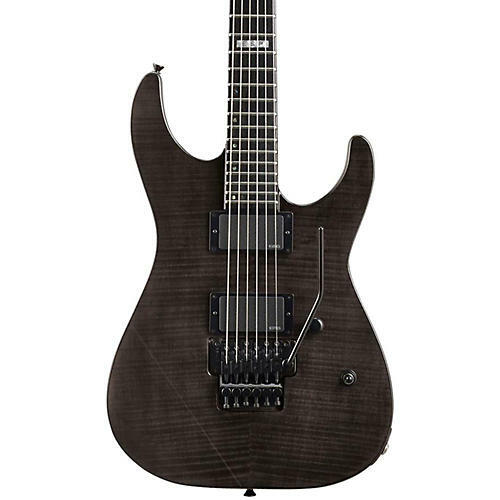 Black hardware features Gotoh locking tuners and Floyd Rose Original tremolo bridge.